Hi, Glamazons! 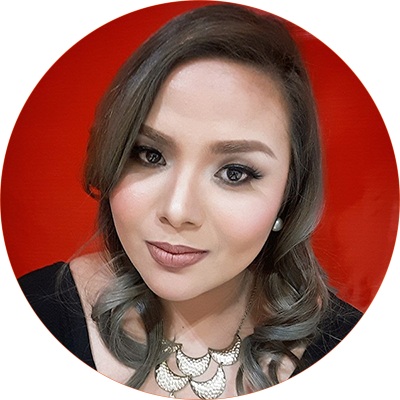 I've been taking it easy with beauty blogging these past few months because I got pregnant and my hormones are all over the place. Motds are such a challenge with my skin breakouts and there are certain products I can't really use. I'm now 7 months pregnant and the one constant thing I've used before and after my pregnancy is My Skin Origins Shea Body Butter with Arbutin. 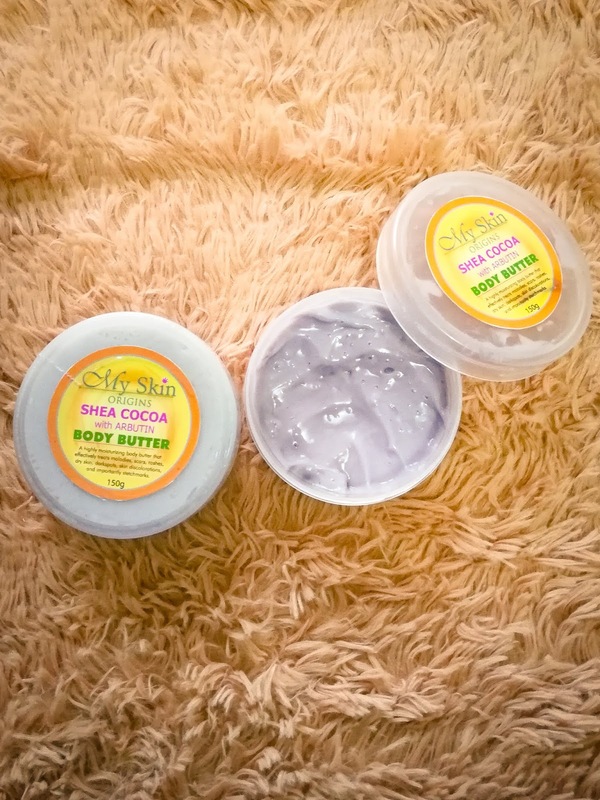 I started using My Skin's Body Butter last year because I had stretchmarks on my arms and legs. My ever fluctuating weight just wreaked havoc on my skin's elasticity and I had ugly marks on my arms since 2016-2017. I tried expensive creams and scar removers but the marks didn't show any signs of fading until I started using My Skin's Body Butter. I noticed that the red marks gradually went from angry red, to dark brown, then to an almost invisible white on my arms and legs. Stretchmarks aren't fun. I had to cover up my arms for most of 2016 because I kept getting asked if they hurt or how I got them. In less than 2 months, my marks started fading when I used this body butter and I am currently using it on my huge baby bump to manage the marks showing up with each trimester. Apart from the fact that it helped me diminish the appearance of my stretchmarks, I really love how moisturized my skin feels after application. 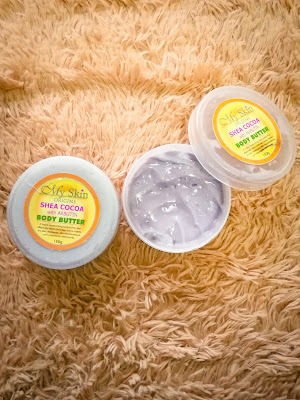 Dry areas like the elbows, knees and heels really benefit from just a small amount of this body butter without it feeling to greasy or sticky like most body butters. 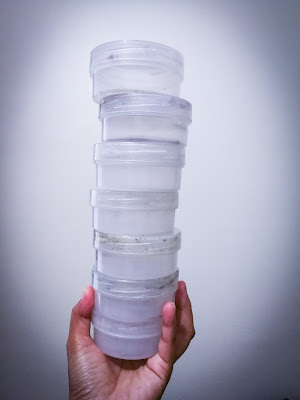 Right now, it is the number one beauty and skincare product in my arsenal because it helps me maintain my skin's moisture and helps me manage my stretchmarks. You just need to be consistent and use it after every bath. My empty tubs :) Consistency is key! 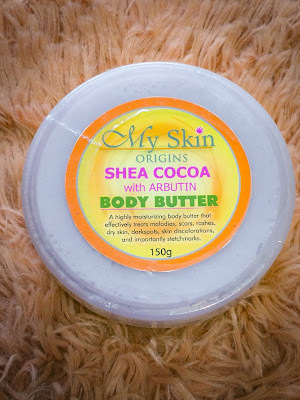 This retails for about P380.00 at any My Skin Origins Skincare and Facial Center and you can actually start buying it online at the My Skin Origins Online Store.